Barbering as a career - benefits of a career change. Thinking of becoming a barber? Read this first! Hair never stops growing… barbering is time and recession-proof, so you will always be in demand. The barbering industry is continuing to grow, with more and more barbershops popping up and it is definitely an exciting industry to be involved in! There is a saying that many people are familiar with and it goes something a little like this ‘if you love your job, you’ll never have to work another day in your life’. We know that many barbers would agree with this statement and be able to list many reasons why they love their job and how it doesn’t feel like work. Choosing a barber career presents many opportunities and perks that one may not have even considered…..
We know there can be doubts, concerns and worries when transitioning into a new career or even deciding what career path to take after finishing school. The main factors that normally arise when deciding on a career are the training options available, employability prospects and the challenges of the job. 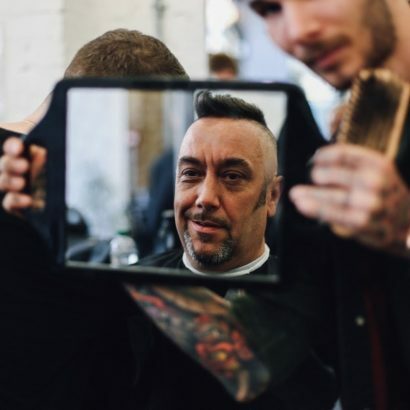 Here at London School of Barbering, pioneers of premium barbering courses, we have compiled a guide on the benefits of barbering as a career to give scope on working as a barber. Bottom line, being a barber is a good life. The job offers flexible hours and rewarding work in a creative industry. Few trades offer as many opportunities to open your own successful business. There are a range of options in how you can be your own boss with a barber career. Some people opt to rent a chair in a salon and build up their client base, chose to work as a mobile barber or open up their own barbershop, where they can really bring in their passions and personality into their barbershop. Not many jobs offer the opportunity to meet and interact with people from all walks of life. Barbers meet clients who have interesting stories to tell and you get to chat to people daily, which is perfect if you love people . Plus, you play a big part in making people look their best. You have the power and skills to give confidence to men by giving them a haircut that suits them and makes them feel great. Many barbers make good friends and contacts from their clients; your confidence and popularity will grow if you are a good barber. Barbers can get good work anywhere in the world, as getting a haircut is a basic need and not a luxury one, so there is always a demand for barbers worldwide. If you want to travel and widen your horizons, barbering is a great choice of trade as job prospects are good all over the world . 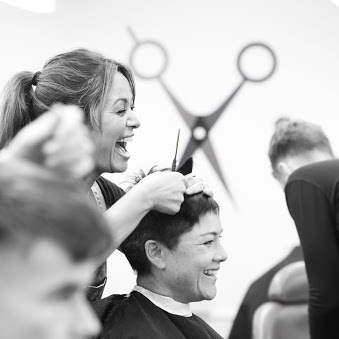 Obtaining the NVQ 2 or NVQ 3 barbering qualification will also help you qualify as a skilled worker and increase chances of getting a work visa to enable you to work in your desired destination. You’d be hard pushed to find two days alike in barbering; everyday is different and most importantly, everyday is enjoyable. You’ll find most barbering jobs are so varied. You will have a range of clients asking for different hairstyles, which makes the job less repetitive and each day exciting. As a barber, you will be no stranger to challenges, as you may have clients demanding a haircut that is not suitable for their face shape or you may have a client who can’t make up their mind about what haircut they want and may struggle to express what haircut they want. Being a barber means that unleash your creative side and try out new things with your clients, (of course, provided they trust you), which makes each day interesting! Most barbers make a decent amount of wonga; not only do you get your salary at the end of the week, you get your tips too. If you master your barbering trade to a top notch standard and can create sharp and modern barber haircuts, along with providing an outstanding service for your client, you will see your tips increase. The potential of earning a good barber salary is high due to the different areas of barbering that is available to work in, whether that is running your own barbershop, being a mobile barber, working for a high end barbershop or even a renown barber brand. There is also the option to work as a freelance barber to work on photoshoots for fashion brands, music bands or any type of brand that requires a professional and talented barber. Once you establish yourself and build a credible reputation in the barbering industry, you can earn a lot of money. The lifespan of a profession is going to cross your mind, when you’re considering a new career. There is no lifespan of a barber, once you work hard and continue to master your craft, you can work as long you want. Regardless of economic situation, men will always need to get their hair cut, so there will always be a need for barbers. With the rise of social media and focus in the media on male grooming, more and more men are willing to invest money in how they look.